Looks interesting here. Pretty over bought, and at a heavy resistance point. A view of the fundies and subtleties of the price action suggest a new trading range (leaving behind the discounted trailing multiple). Apple usually runs up prior to events, and this is no different. But knowing what is to come in their Q1, it may break out sooner then anticipated. 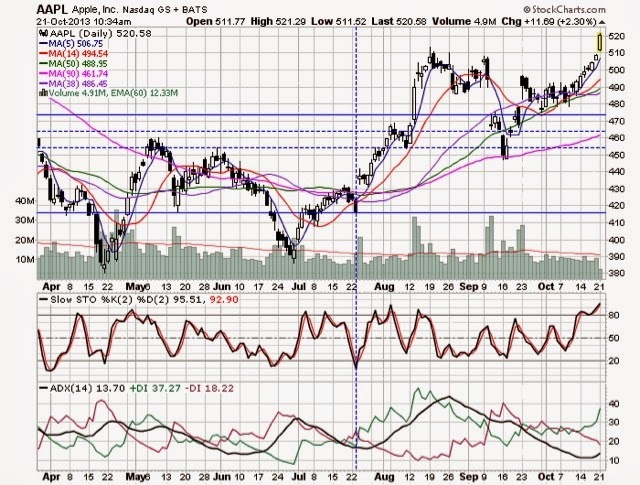 Looking to add near 500, and any oversold condition via the daily chart. Market Thought... First political slap!